Our company have long specialized in providing professionally done carpet cleaning that is done by experienced team of carpet technicians. We are currently located in Balham and we work with customers both during the week and at the weekends. We will clean all of your carpets in the fastest possible way and we will remove even the nasty stains, thanks to the innovative cleaning approaches that we apply. We assure you that we work up to the highest standards and that we apply every cleaning procedure in a careful manner. If you search for the the most modern cleaning procedures that could be applied to your carpets, you will find it within our dedicated company. 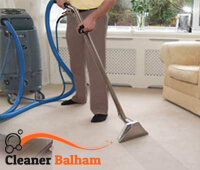 Find us in Balham and our friendly staff will be happy to give you further details about our excellent carpet cleaning. Even the old carpets will be ideally cleaned by our dedicated team of carpet technicians. 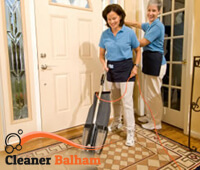 We are sure that we can meet your expectations because we have long provided carpet cleaning for our revered customers. What we offer is steam and dry cleaning as well as full cleaning of stains and dirt from every origin. Our carpet technicians use chemically free detergents and substances that have been preliminary tested. As far as the unpleasant odours are concerned, we assure you that we use modern deodorizers that completely remove the nasty smells from the carpets. Our cleaners had been instructed how to treat the carpets without damaging them and they are ready to respond to all of your questions. If you want to receive the utmost care for your carpets trust us in Balham and we promise not to disappoint you. Our primary aim is to provide effective carpet cleaning at very affordable rates.